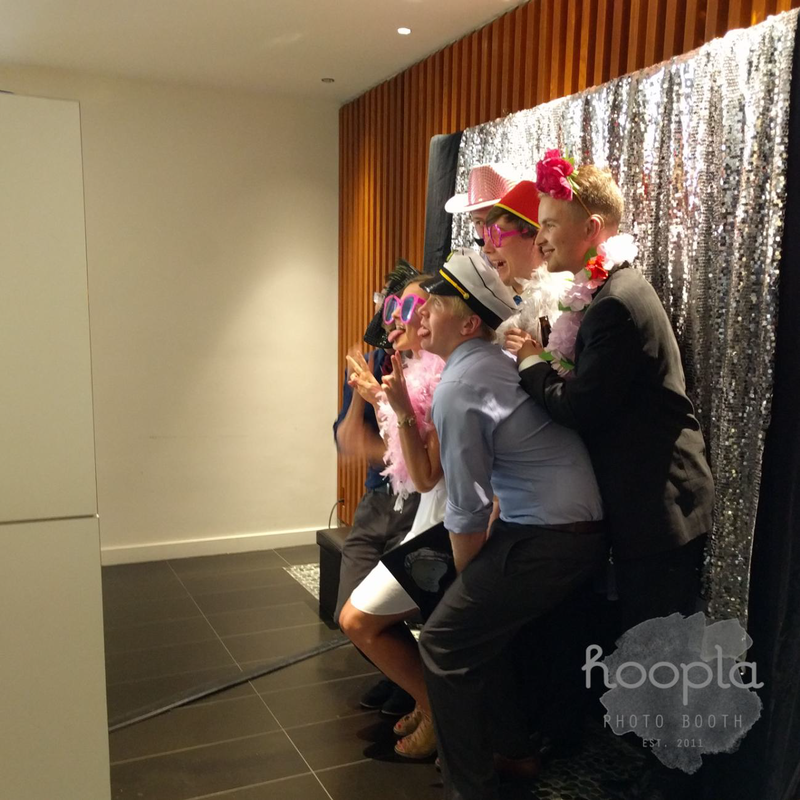 FAQ - VANCOUVER PHOTOBOOTH RENTAL | Hoopla Photo Booth - Vancouver's most popular photo booth rental company. All of our booth are open-concept, meaning there are no walls. This allows for bigger groups and maximum engagement. The space required is approximately 7x7 feet with access to a regular power outlet within 10 feet. The footprint can be condensed to fit smaller spaces as well. The design of our booths are modern and sleek, designed to complement any venue. There is an extra large monitor so you can see all the fun and all of our printers are enclosed within the booth. WHAT'S INCLUDED WITH EACH BOOKING? Our packages include all the basics to make your event a success. We take care of all the set-up and take down, a friendly on-site attendant will be there to assist your guests throughout the entire booking time, we offer a wide variety of props and back drops, high quality photos, and of course all the digital images so you can relive all the fun times from the night. We also include a customized photo strip design to match your branding or event theme. The only add-ons we offer are non-operational time (if you want to break up your booking time), double prints, and a scrapbook option. A travel fee may apply if your venue is located outside of the Metro Vancouver area. WHAT KIND OF PROPS DO YOU HAVE? DO YOU PROVIDE CUSTOMIZED PROPS? We provide our deluxe prop box with every booking! We take our selection of props seriously and we're always on the lookout for new additions that are not only fun, but they have to look good in photos too ;) We have lots of hats, glasses, mustaches, lips, boas, flower crowns, and more. If you take a look at our galleries page, 95% of the props are supplied by us. We also have other items available upon special request so if there's something specific you're looking for, be sure to let us know in advance. Our standard prop box is included with each booking. If you have a specific theme for your event, we will try our best to supply any props we already have to match your theme, however we do not provide custom props for each event. CAN I CUSTOMIZE MY PHOTO STRIP? Yes, we can definitely customize your photo strip to match your theme/branding. We have lots of templates to choose from so you can select the layout that works best for your event. We can also provide you with a template if you prefer to design your own strip. Please contact us for a customized quote. We will need your event date and venue to provide you with an accurate quote. HOW DOES THE GREEN SCREEN WORK? The green screen is a great option to use for your back drop if you'd like to incorporate your event theme in a unique way. All we need is a high resolution image and we can turn this into your back drop. Multiple images can be used if you like. This is an other great feature that is included with every booking (free-of-charge!). A compact kiosk is set-up beside the booth and uploads all the images taken at the booth in real-time. Guests share their images by email on the spot. We provide the connection, so this can be set-up anywhere (with or without wireless internet). The images will also be available after the event via an online gallery. We will send the organizer a link to the online gallery within 48 hours. We provide the connection, so this can be set-up anywhere (with or without wireless internet!). Hoopla is a small business that was born in 2011 (time flies!). It was started by a husband and wife team that takes pride in all aspects of the business, from the initial booking period to follow-up after the event. Our original goal of running a business that provides joy and fun, along with the best quality service and photos is still our top priority to this day. We are pleased to have provided our photo booth service for events of all types and sizes and have kept our operations small to maintain a high standard of service to all of our clients. Bookings are taken on a first-come-first-serve basis. We recommend booking early if your event falls during certain peak times (e.g. proms and graduations, summer weddings, and weekends in December for holiday parties) since these dates book up quickly. A minimum booking time of 3 hours may apply for certain dates. WHAT IS REQUIRED TO BOOK THE BOOTH? Once we have confirmed availability for your date, a $300 deposit is required to secure your booking. We accept cash, cheque, and Interac e-transfer. DO YOU HAVE A NON-PROFIT RATE? We review each request on a case-by-case basis and try our best to help out when we can. Please provide us with as much information about your event as possible. WHAT DOES THE SCRAPBOOK OPTION INCLUDE? The scrapbook option includes all the supplies needed to create a scrapbook station at your event. This is a good alternative to a traditional guest book. We provide double prints from the photo booth (2 print-outs per session), a large black scrapbook with blank pages, double-sided tape, and pens. We also include signage (a table will need to be provided by the venue). If you prefer to provide your own supplies, you can opt to have just double prints. Yes! We've collected many kind comments and emails throughout the years and we're happy to provide references upon request. Please see our Testimonials page for a few! DO YOU HAVE AN ENCLOSED BOOTH - WHAT ARE THE BENEFITS OF AN OPEN STYLE BOOTH? All of our photo booths are open-concept, so there are no walls. This set-up works best to encourage interaction and spontaneity. This set-up is also ideal for large events since it can accommodate much bigger groups and a more continuous flow of traffic, meaning more fun photos! Our standard set-up can fit around 6 people comfortably in the frame. Depending on how well you're able to maneuver yourselves around, we've seen up to 15+ people squish in the booth. WHAT REQUIREMENTS ARE NEEDED FOR THE BOOTH SET-UP? The space provided for the booth should be approximately 7x7 feet with access to a normal power outlet within 10 feet. We can accommodate smaller spaces if needed, please inquire prior to booking.